This image below, nicknamed “MXene Library,” is the inaugural top-winning photo of an international competition created by the A.J. 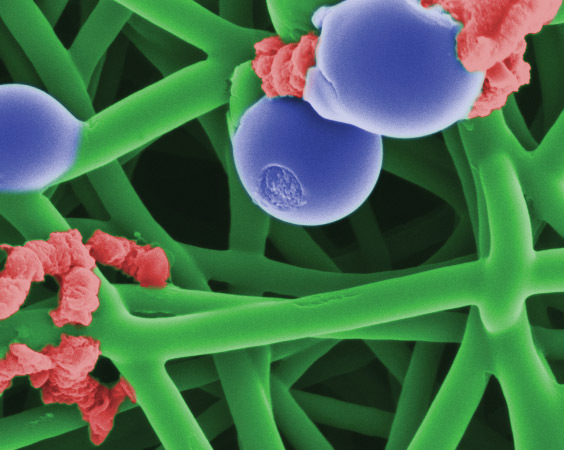 Drexel Nanomaterials Institute to celebrate the surprising beauty within the microscopic details of everyday nanomaterials. MXene Ti3C2 “clay” has a layered structure that can be easily sheared, creating fantastic forms on the microscale. 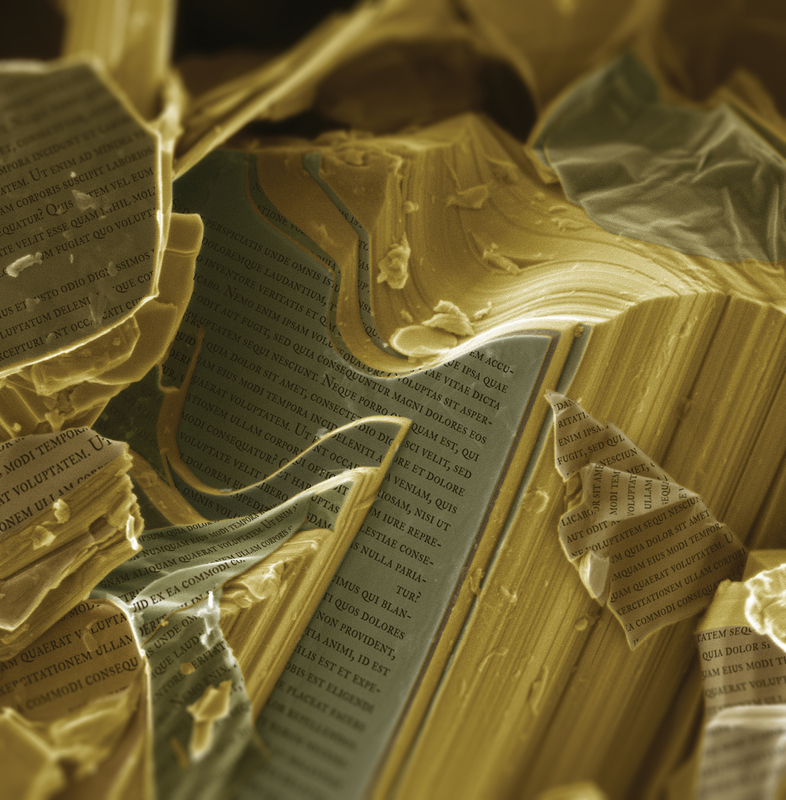 This is a scanning electron microscope image of Ti3C2 stacks that have been partially sheared along their basal atomic planes and colorized to emphasize their likeness to books. 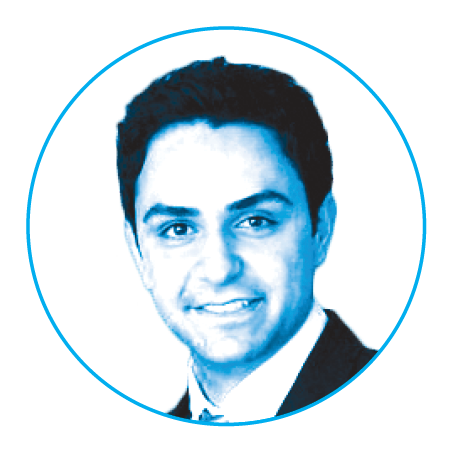 Babak Anasori, a research assistant professor in the institute and in the Materials Science and Engineering Department of the College of Engineeering, established the NanoArtography contest two years ago to help laypeople appreciate how scientists study the world at the atomic level and to bring attention to Drexel’s groundbreaking materials science research. 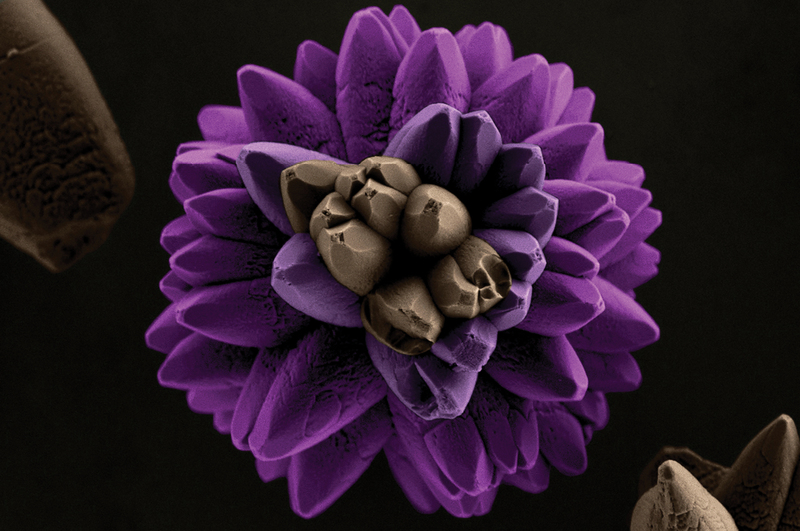 The unusual images are scans of metals or nanoparticles taken by an electron microscope, then highly magnified (for perspective, a human hair would have to be sliced 100,000 times to reach the thickness equal to one nanometer) and often given an artistic touch with photo-editing software. The judging panel, which includes Anasori and professors of both science and art, look for intriguing images that also have a story to tell, Anasori says. Drexel’s Materials Science and Engineering Department is the birthplace of MXenes, a new family of atomic-thin, conductive materials that promises many potential uses, including high-capacity batteries, smaller and wearable electronics and even applications for the treatment of cancer. 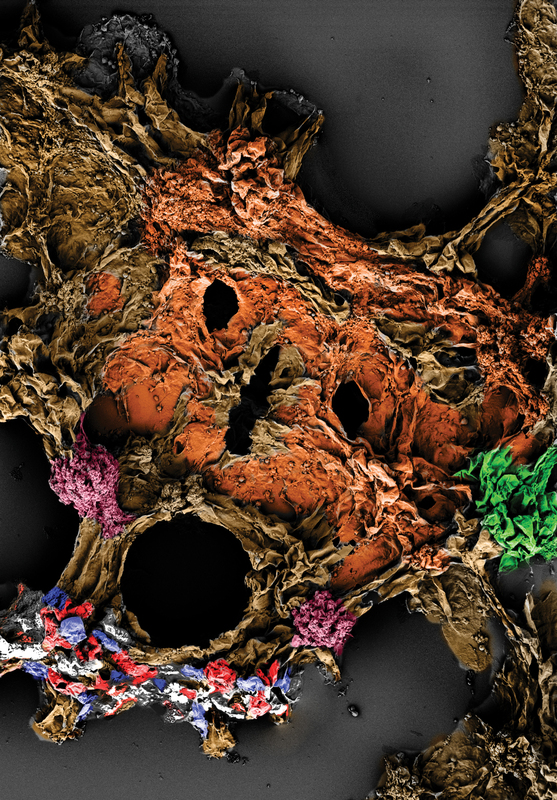 While still a PhD student, Anasori created beautiful scans of MXenes that gained notoriety outside of science circles. 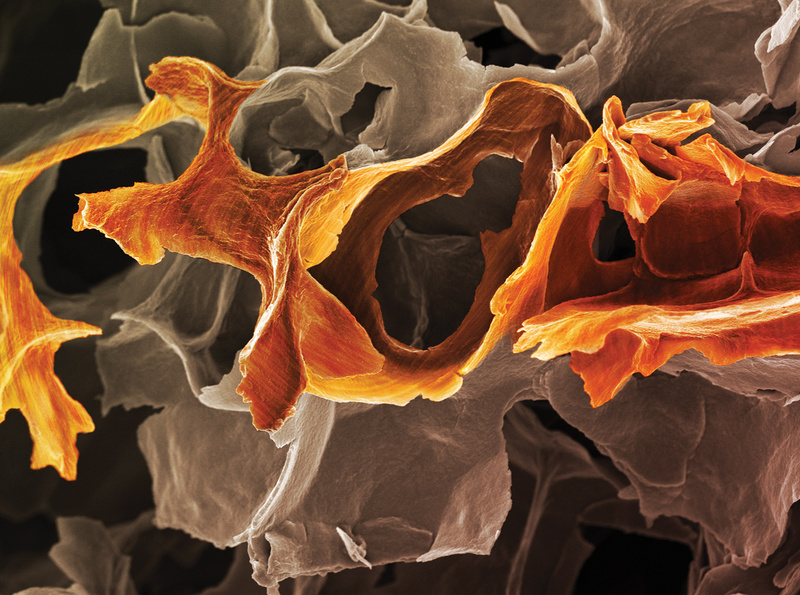 One dramatic image of a titanium-based MXene by Anasori and fellow graduate researcher Michael Naguib won the People’s Choice award in the National Science Foundation’s International Science & Engineering Visualization Challenge, the most competitive contest of its kind. It later also appeared in National Geographic magazine and on MSNBC. This is an electrospun PVDF-TrFe nanoyarn. PVDF-TrFe is a polymer capable of forming piezoelectric nanofibers without the need for additional poling. 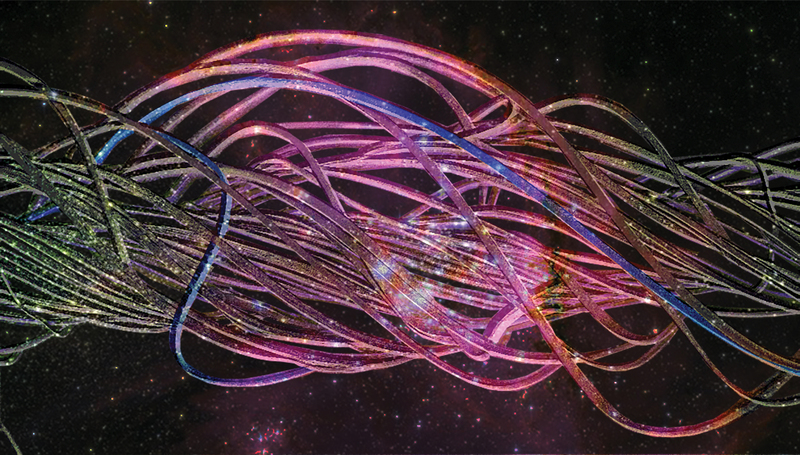 Nanoyarns are higher-order architectures of nanofìbers and are fabricated by twisting bundles of aligned nanofibers together during the electrospinning process. This work reveals how common shapes and colors in nature can be visualized within microscopic images, making it possible to show that the nano world is similar to the macro world. The image was obtained through field emission gun–scanning electron microscope (FEG–SEM) using strontium tungstate. Electrospun carbon nanofibers are coated with a 10-nanometers-thick polyaniline coating using oxidative chemical vapor deposition. During this specific reaction, spheres of polyaniline formed on the surface of the carbon nanofibers, along with some rough patches. This image depicts colorized polyvinylidene fluoride (PVDF) crystallites viewed under a scanning electron microscope. The curved structure presented in the picture is a porous Ti3CN MXene. The width of the “cliff” on the right-hand side of the picture is approximately 20 microns. The author aims to relate the MXene microporous structure with the Antelope Canyon in Nevada, also made of soil.